It’s hard for me, but I have to say that even the “best” of you are only 30% fit for the tour. Perhaps it is also because the real professionals who have their own ATV, also want to drive with their own ATV and pay accordingly less. That’s not interesting for me. The people who come, even with alleged offroad experience, are mercilessly overwhelmed. The ego is hurt, mood is in the basement. It causes property damage, not infrequently injury. Only the few of you are able to decide by yourself, “I’m not going to go the piece of offroad, only with help – without a broken ego”. Group helps, it’s exciting, funny, adrenaline, but always in a good mood. From 2011 until now, only two groups are capable, Gr.1 Christoph, Tobi, Behrend and Gr.2 Marcel W. with his companions. The remaining groups had actually landed on the wrong tour. The driving style of the people corresponds before the smooth gravel road, but for the scout tour you need something more. Therefore from 2019 STOP for the scout tour. 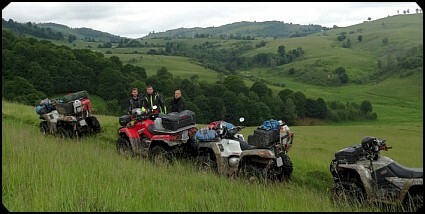 Me and my brother do every year a free ATV 4×4 mountain-hiking tour in Romania – Carpathian Mountains. To describe the difficulty is very difficult, almost impossible. What is for one easy, for others Perilous. Also running ahead of us no Grader, the difficulty level between 3-5 dredged. It will be now 1, and it also comes to 9 can dusty, damp, be hot or cold. Tour is prepared and planned, but a thick tree lying on the path, the path can be flushed out. If too heavy a point comes, you have to stop and ask for our assistance or help. We will certainly have to drive one or the other path back, because there is not going on. The tour is therefore suitable for funny, adventurous and lofted souls. So I offer for adventurous people an opportunity ATV 4×4 Scout Tour – Expedition to experience without a big group comes to conditions. 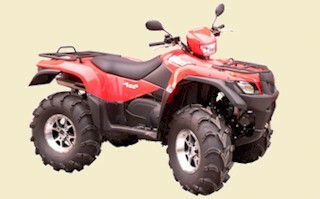 I offer a ready to take off in full ATV incl. Equipment. You must only come, maintain their own clothes and little food. 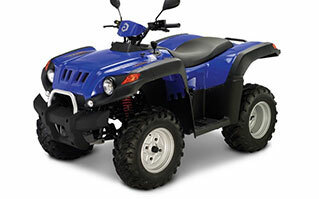 ATV clothes you can rent from me. Accommodation is in a nice clean family house with Excelent house kitchen. The first and last night we sleep in the inn, other days in nature in a tent (or operational). My brother speaks english, I speak german and english. Therefore will not be a silent week. 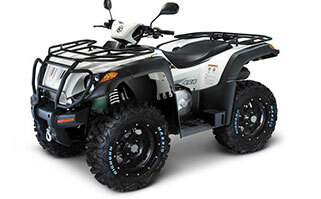 ATVs are equipped with a good radio, is so comfortable chatting while driving might be awarded against a good driving tips obstacle. It makes sense for relatively little money port dates with max. to occupy 4 persons / group. The tour is clean scheduled at the moment, there should be no Path search. From experience has shown that a seven-day tour is very long to prove and bad. Since the tour is now planned for a fixed, rich only four days to complete exhaustion. The Tour has all types of terrain. Just as the comment is, from long steep driveway, up to several times 100% up and down, overgrown grass paths, mudy up to rocky and very challenging climb. The route I don’t change during the tour, because one or other says “is too dusty, too heavy or too light”. If one is too hard, too easy or too slow, can only complain later. New in Program 2015: In the equipment is in addition a fine sleep Mate Grand Canyon with sun 196x76x7cm the Mass has proven to be absolutely comfortable (I use them myself and top). The addition provides comfort on the go, while the problem with luggage size is loosed, because the role is to pack very poor in the case. Thus, they do not have huge lugging suitcases on the plane (or little uncomfortable mat draw) and we come to meet our customers and facilitate the journey to our super Mountains Tour.